Choose Go→Connect to Server from the Finder. 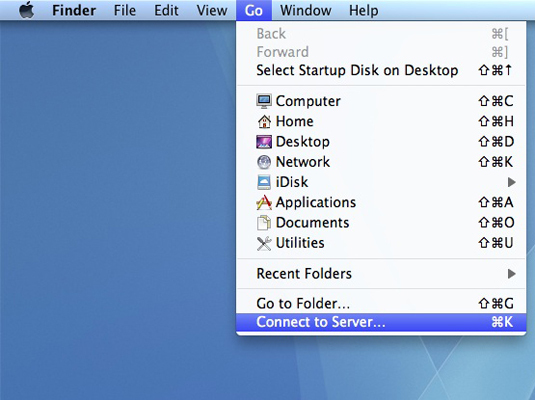 Open the Connect to Server dialog. The Connect to Server dialog opens. In the Address box, enter smb://<ip address>. Here ip address is the IP address of the Windows computer that you want to connect to. Enter a username and password if necessary. Depending on the type of account you have on the Windows PC, Mac OS X might display an SMB (Server Message Block) authentication dialog in which you can enter your username and password. 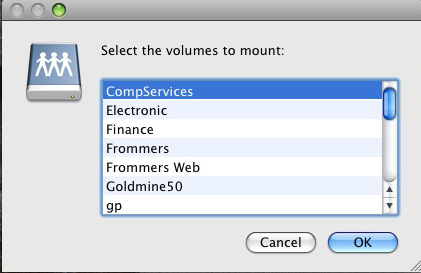 Select the desired shared drive to mount from the pop-up menu. If you’re accessing a file shared on a Windows 95 or Windows 98 computer, simply click OK to mount the share. Mount the shared drive according to the Windows version. If you’re accessing a file shared on a Windows NT, 2000, XP, or Vista computer: Click the Authenticate button. 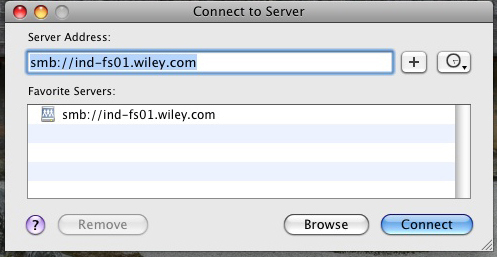 Then enter your username and password, click OK, and then click OK again to mount the share. Drag the icon to the Trash in the Dock (which changes to an Eject icon when you start dragging).